The jury’s still out, but most people will tell you the best way to experience the Mediterranean is definitely by sea. Out of the 14 million people who took a cruise in 2010, 14 percent said the Mediterranean was their favorite destination, according to StatisticBrain.com. So if you’re daydreaming about setting sail, palm trees and blue-green waters might’ve crossed your mind. You might think, “ohhh…” a Mediterranean cruise sounds nice, but where do they go and which one should I choose? For history buffs, Eastern Mediterranean ports include Croatia, Cypress, Greece, Turkey and Bulgaria. 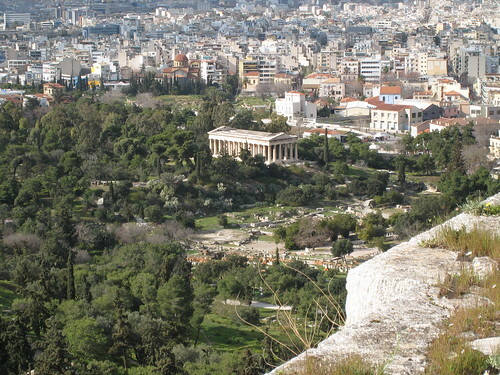 As the oldest city in Europe, Athens boasts a history of gods, goddesses and overachieving athletes. Every year visitors flock by the thousands to see the landmarks that define and dominate this ancient city. As soon as your ship docks, head straight for the Acropolis. The 12 Euro admission fee includes entrance to Roman and Ancient Agoras, Keramikos, Temple of Olympian Zeus and Theatre of Dionysos, according to the Lonely Planet. If possible, schedule your cruise in spring or early autumn, as the temperatures will be cooler and the crowds thinner. 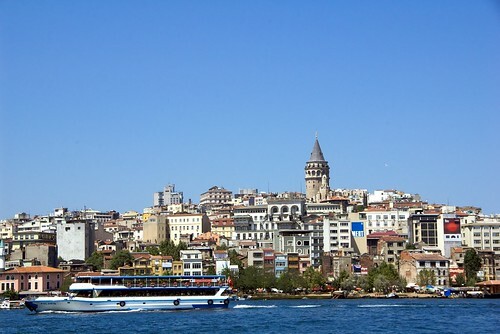 Turkey is home to Istanbul (previously known as Constantinople), once the capitol in Rome’s Byzantine Empire. Put the architectural masterpiece Aya Sofya known as the Hagia Sophia — a massive and beautiful church — on the top your list of places to visit here. The history and mosaics surrounding this idyllic church aren’t to be missed. Again, travel in the spring or fall if you can. For foodies, Western Mediterranean ports include France, Spain, Portugal, Italy and Sicily. In Palermo, enjoy late night dinners at cafes dotting the city, all under the looming Mt. Etna — a very active volcano. Mt. Etna is the world’s most well researched volcano, according to ABC News. It baffles experts on why it is so active, with jets of lave spurting up regularly. Eat, drink and be merry in Barcelona, because the locals will be. An enchanting seaside city filled with boundless culture, incredible dining and architecture unlike any you’ve ever seen, Spain’s capital is a canvas waiting for you to contribute your mark. 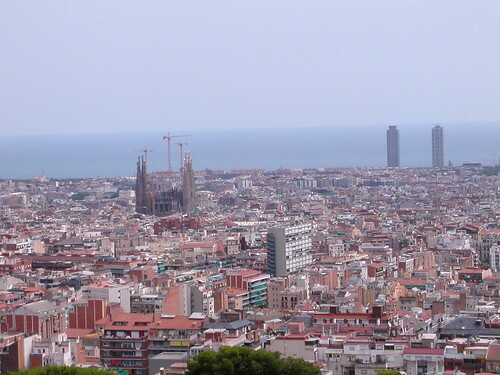 According to HCCMIS, the top places to visit in Barcelona include the Casa Batllo, a building that looks like it was built from skulls and bones, the Picasso Museum and the Cervantes Park and Rose Garden. Stop by La Sagrada Familia Church, designed by modern architect Antoni Guadi, as it will likely fascinate you for hours with its Tim Burton-esque spires and curves. For treasure seekers, Southern Mediterranean ports include Tunisia, Libya, Egypt and Cyprus. With a faded charm you won’t be able to resist, this city has plenty to eat, explore and experience. Take an hour or two to visit the Catacombs of Kom ash-Shuqqafa, which is the largest known Roman burial site in Egypt, according to the Lonely Planet. Then head over to the Temple of Serapeum and finish at the Biblitheca Alexandrina — the new library of Alexandria — to rekindle the mystery of the original center of learning and culture it represents. Not Tunisia’s most interesting city but not claiming to be, Tunis is still worth a day or two of your exploration. Experience the culture like a local by wondering through crowded streets of people selling, buying and carting goods. Coupled with sweat, spices penetrate the air and provide you with a taste of the true life of a Tunisian. Visit a bath house or one of the many mosques scattered throughout the city. Before calling it a day, head over to one of the city’s notable attraction. The most well-known are actually outside of town: the Bardo Museum and ruins of the ancient Carthage. John Evans: John has driven nothing but muscle cars, and he enjoys traveling to the big auto shows when his wife will let him.